This Mercedes-Benz Design Awards finalist updates a charming old-world classic. Joshua McKean's shortlisted design, Dudley. Joshua McKean at his studio in Sydney. 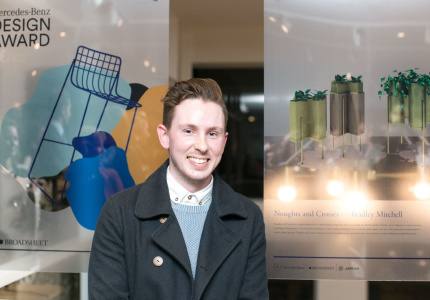 Sydney-based Joshua McKean has been selected as one of three finalists for the Mercedes-Benz Design Award by Broadsheet, with his concept for bringing the old-school drinks trolley into the 21st century. 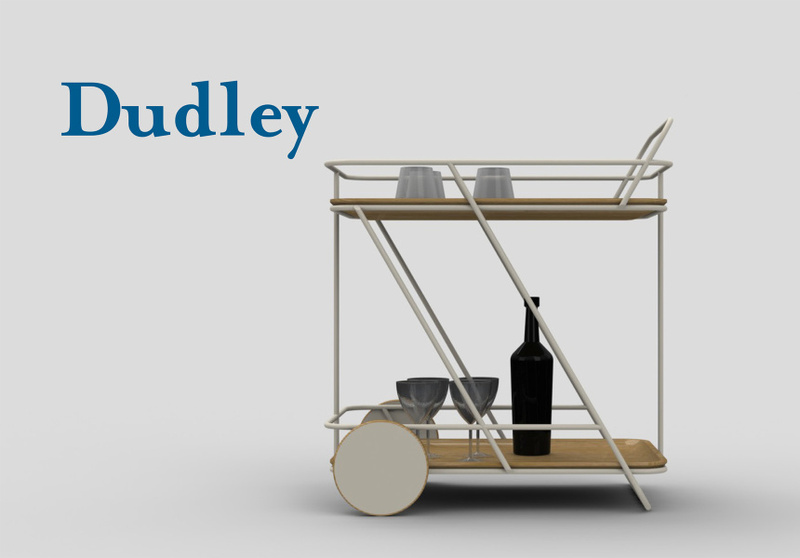 Named Dudley, after his late grandfather, who enjoyed a good whisky, the trolley draws on mid-century design while using modern materials and techniques. 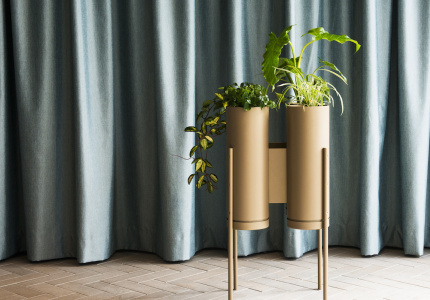 The Mercedes-Benz Design Award by Broadsheet called for an innovative Australian design that adds value to the kitchen or dining experience, with the winning design to be produced and taken to retail within the product range of progressive Australian furniture maker Jardan. McKean's design was one of three selected from over 120 entries by the judging panel of representatives from Jardan, Broadsheet and Mercedes-Benz. The Dudley's element of old-meets-new strongly appealed to Jardan’s head designer Tom Shaw and owner Nick Garnham. “It has a retro feel that references older kitchens, but it’s an up-to-date version that will work in the modern home,” Shaw says. We spoke to McKean to discover how his design came to life. 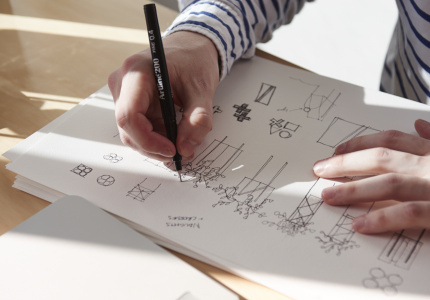 Broadsheet: Where are you from and how did you get into design? Joshua McKean: I grew up all over Australia and in Vanuatu for a short while. I studied industrial design and my wife also has a background in design, so we work on a lot of things together. 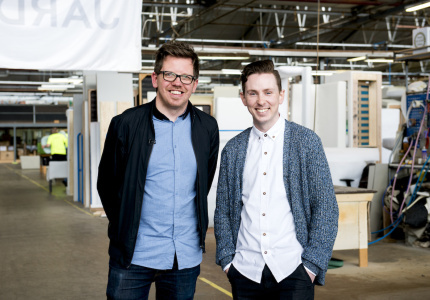 Just over a year ago we started our own business called McKean Studio. We create miniature scenes, jewellery and textiles. BS: How long has design been your passion? 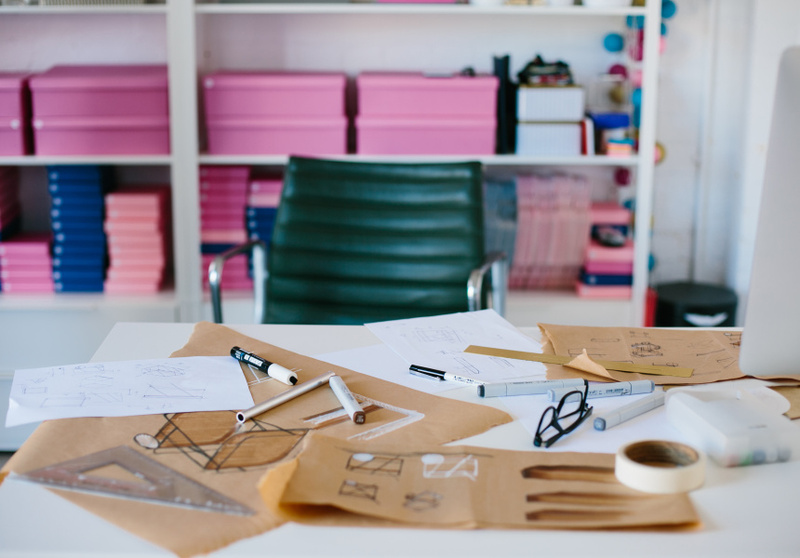 JM: Designing and making things has always been in my blood. I started designing in high school. I always liked drawing and I would draw up fantastical cars and things like that. My dad was a woodworker and a maker of things, so that always inspired me to make and create lots of different things, which all culminated in going on to do industrial design at university. BS: Tell us about the inspiration for your entry piece, the Dudley. JM: The inspiration came from my travels to Palm Springs, which is a little city in California. It’s filled with beautiful mid-century architecture and that really formed the concept for the drinks trolley. They’re much, much more prevalent in those older houses, you don’t really see them in a modern-day setting. Then it was about looking at Jardan’s furniture and matching my concept with its more modern Australian aesthetic. BS: What gives your design its contemporary feel? JM:The use of materials and the finishes applied to it is what brings it into more modern times. It’s a steel frame with oak trays, which is a combination that makes it a bit more contemporary and appealing to more people than perhaps the older-style designs. BS: What do you think your design would add to someone’s dining space? JM: Hopefully my piece would help people with their entertaining. It’s always nice to have something that can bring togetherness and help people share things with one another. It has a nice element of hospitality to it. BS: What would you do if you won the award? JM: I’m not really sure. But it would be nice validation and a prompt to keep designing this kind of thing. It would be so exciting to meet the people at Jardan and see how they work and how they create their beautiful pieces. BS: How important is it to recognise emerging designers? JM: It’s really important to give emerging designers recognition for the work they’re doing and to bring about the next crop of people that are starting out. [Mercedes-Benz and Jardan] have given essentially anyone the opportunity to put their hand up and give it a go, which is great. Meet our other two finalists, Bradley Mitchell and Bianca Isgro. The winner of the Mercedes-Benz Design Award presented by Broadsheet and Jardan will be announced at a ceremony in Melbourne on Thursday September 17.